Ο Ντίνος Καλύβας, γεννήθηκε στις 9 Απριλίου του 1975 και ζει στην όμορφη και ιστορική πόλη του Ναυπλίου την 1η πρωτεύουσα της Ελλάδος. Φωνή στεντόρεια, ήχος γλυκύς, ταλέντο δυναμικό…αγάπη στις Τέχνες και ειδικά στη μουσική και το τραγούδι. Είναι τενόρος, έχει Δίπλωμα Μονωδίας (Κλασσικό Τραγούδι) από το Ωδείο “Ορφείο Αθηνών” (Τάξη της Ακτής Δρίνη) και Πτυχίο Ειδικού Αρμονίας, από το Δημοτικό Ωδείο Ναυπλίου ” Κων/νος Nόνης” (Τάξη του Ιωάννη Νόνη). Παίζει πιάνο και κιθάρα. Συνέχισε τις σπουδές του στο κλασσικό Τραγούδι στο Ωδείο “Φίλιππος Νάκας” Αθηνών με τον Σταμάτη Μπερή , στην Τάξη του masterclass κατά το έτος 2010 -2011. ‘Έλαβε μέρος στο masterclass που έγινε στο Μέγαρο Μουσικής Αθηνών από την κα Jannette Pilou στις 09-03-2012, που έγινε στα πλαίσια των υποτροφιών ” Μαρία Κάλλας”. Το ρεπερτόριο του ταλαντούχου καλλιτέχνη δεν είναι αποκλειστικά κλασσικό. Υπάρχει μια μεγάλη ποικιλία μουσικών έργων που αποδίδει δίνοντας την ευκαιρία στον θεατή, ο οποίος δεν έχει μυηθεί στη μαγεία της όπερας, να χαρεί τη φωνή του σε πιο γνωστά μουσικά κομμάτια. Έχει εμφανιστεί σε χώρους όπως το “caffe conzerto” του Εθνικού Ωδείου, “Τσάι στη Σαχάρα” , Μουσική σκηνή “Piedra”, Αίθουσα Φιλολογικού συλλόγου “Παρνασσός”, Αίθουσα τελετών του πανεπιστημίου Αθηνών με την ορχήστρα νέων υπό τη δ/νση του μαέστρου κ. Παύλου Σεργίου, στο έργο “Magnificat” του J.S.Bach, στο Αμφιθέατρο Φ. Νάκας Αθηνών με το σύνολο Tenorissimo του Σταμάτη Μπερή, στο ανοικτό θέατρο Παπάγου και στο Μικρό Θέατρο της Επιδαύρου, στα έργα του ελληνοκαναδού συνθέτη Παναγιώτη Καρούσου, Προμηθέας δεσμώτης και Ολυμπιακή φλόγα , στο Σύνταγμα με την ορχήστρα του Δήμου ΑΘηνών υπό τη δ/νση του μαέστρου κ. Ελευθέριου Καλκάνη , στο Χριστουγεννιάτικο πρόγραμμα Λευκές Νύχτες μαζί με τους Τενόρους Γιώργο Ζωγράφο και Μανώλη Λορέντζο καθώς και στο μέγαρο μουσικής Θεσσαλονίκης με το σχήμα Los Eroticos του κ. Μιχάλη Νικολούδη. My name is Dino Kalyvas, I live in Nafplion, Greece and I am a Tenor. I sing classical, world, pop and crossover repertoire, and allow me to say that I feel very comfortably in moving among all these different music fields. I believe that, with your help, we could actually turn my health disadvantage into an asset, through proper focus on the hard work that I have put in developing my talent and in highlighting my fight for rheumatoid arthritis patients’ rights and capabilities. I am convinced that I could be a role model and an example for rheumatoid arthritis patients all over the world. The only thing that I am not able to accomplish is to undertake roles that demand a lot of rapid movement across the stage. I am extremely strong though and in top physical condition. 1. 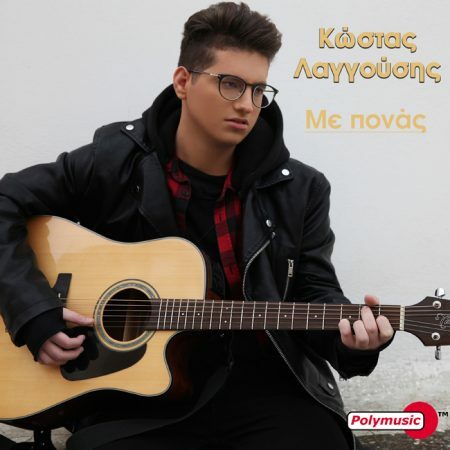 22 October 2018 – Debut album release “Dino Kalyvas – Amazing Arias” by POLYMUSIC record company, album was also made available on iTunes, Amazon, Google Play etc. 2. 14 July 2018 Charity event for people with cardiological diseases. Event title “Human and Music” Soloist: Dino Kalyvas and the jazz-pop performer Tanya Nikoloudis. Conductor: John Nikolopoulos. Town hall Square , Nafplion – Greece. 3. 12 July 2018 “Ways of Culture Festival”. Event title “Human and Music” Soloist: Dino Kalyvas and the jazz-pop performer Tanya Nikoludis. Conductor: John Nikolopoulos. Kiveri port of Argolida – Greece. 4. 28 April 2018 Music event: “Human and Music”. Soloist: Dino Kalyvas and the jazz-pop performer Tanya Nikoludis. Conductor: John Nikolopoulos. Historical Concert Hall “Parnassos”, Athens – Greece. 5. 27 December 2017. Charity Christmas performance. Soloist: Dino Kalyvas (Tenor) , Helen Belesi (Soprano). Conductor: John Nikolopoulos. 1st Parliament of Greece Hall, Nafplion-Greece. 6. 29 August 2017 “Ways of Culture Festival”. 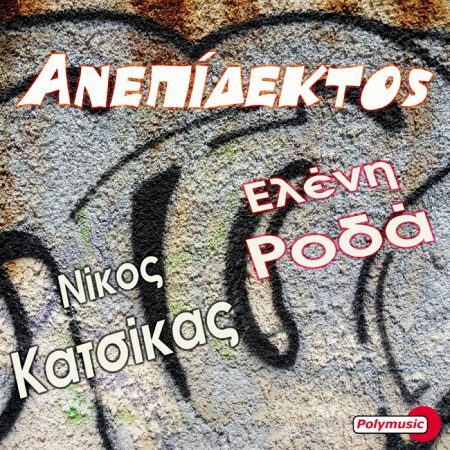 Event title: “Melodies of happiness!” Voice-piano: Dino Kalyvas , Poems and recitation: Kostas Spiliotis (Writer). Castle of Ancient Asini , Argolida – Greece. 7. 26 June 2017. International Nafplion Festival. Title: The Tenor Dino Kalyvas in recital with Italian arias and songs (cantzonettes) Piano : Andreas Rendoulis. 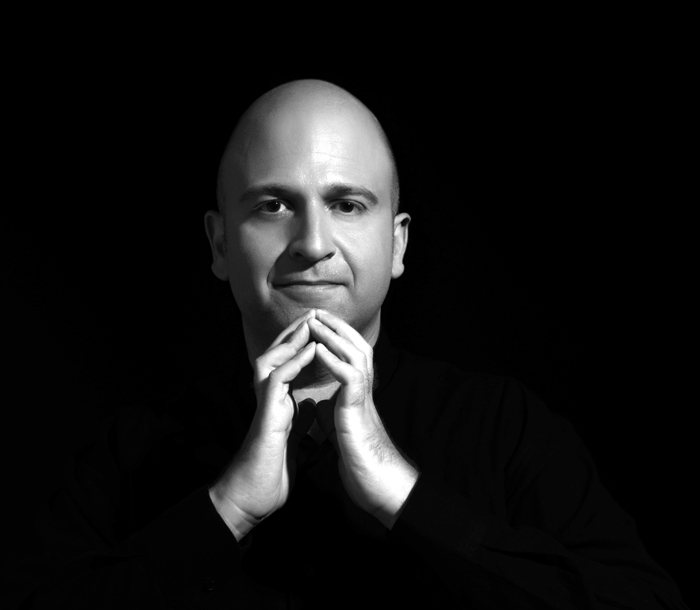 Artistic manager :The world famous pianist Yannis Vakarelis. 1st Parliament of Greece Hall, Nafplion-Greece. 8. 12 March 2017 Charity performance for the underprivileged – “ Holly Mary Church”. Soloist : voice-piano: Dino Kalyvas. 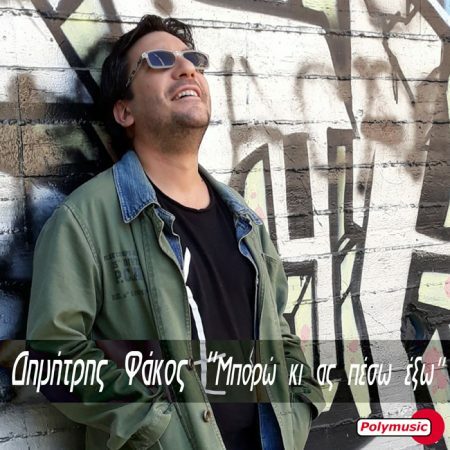 Poems and recitation: Kostas Spiliotis (Writer). Syntagma Square, Nafplion-Greece. 9. Through 2015 , I took part three (3) times in “play my music” show of the 1st world wide in audiences internet classical radio “Classical Music Discoveries”. In 14 June 2015 until the end of it , “play my music” show (a big chance for new Talents) in which I had taken part with canzonetta “Torna a Surriento” was in top Ten shows for 2015, with over 200 million listeners. 10. 25 April 2014 . Title: “Los Eroticos”. Soloist : Tanya Nikoloudis (Jazz – pop performer) – Dino Kalyvas (Tenor). Conductor the guitarist and composer of Ethnic Jazz Michalis Nikoloudis. Thessaloniki’s’ Concert Hall, Thessaloniki – Greece. 11. 14 February 2014 . Title : “Los Eroticos”. Soloist : Tanya Nikoloudis (Jazz – pop performer) – Dino Kalyvas (Tenor). Conductor the guitarist and composer of Ethnic Jazz Michalis Nikoloudis. Historical concert Hall “Parnassos” , Athens – Greece. 12. 28 December 2013. “White Night with three Tenors in Athens” Christmas concert of Athens Symphonic Orchestra with Tenors George Zografos, Dino Kalyvas and Manolis Lorenzo. Conductor : Eleftherios Kalkanis. Central Square of Syntagma , Athens – Greece. 13. 16 December 2013. Title : “Passione” by “Tenorissimo group”. Tribute to the Tenor Pipo di Stefano. Soloists: Tenors Stamatis Beris, Dino Kalyvas and eleven more Tenors. Historical concert Hall “Parnassos” , Athens – Greece. 14. 30 July 2013 “Prometheus Bound” . Operatic Ancient Greek drama of Canadian-Greek composer : Panagiotis Carussos. I performed (conzerdante) the “Hermis” role. Little Theatre of Ancient Epidaurus. Epidaurus – Greece. 15. 29 July 2013 International Festival “Papagou” Municipality. Title: “Olympic Flame” Operatic Ancient Greek drama of Canadian-Greek composer : Panagioti Carussos. I performed (conzerdante) the “Hercules” role. Open big Theatre of Papagou Gardens. Papagos – Athens Greece. 16. 25 July 2013 International Theatre Festival of Aegina . Title: “Olympic Flame” Operatic Ancient Greek drama of Canadian-Greek composer : Panagioti Carussos. I performed (conzerdante) the “Hercules” role. Governor Kapodistrias Square, Aegina – Greece. 17. 2 April 2012 Title : Title : “Passione” by “Tenorissimo group”. Tribute to the Tenor Pipo di Stefano. Soloists: The Tenors Stamatis Beris, Dino Kalyvas and eleven more Tenors. Theatre of Philip Nakas Conservatory , Athens – Greece. 18. 16 July 2011 Title : “Cosi fan Tutte” , W. A. Mozart Opera. I performed (contzerdante) the Fernando Role. Theatre of Philip Nakas Conservatory , Athens – Greece. 19. 23 April 2010 Title: “Passione” by “Tenorissimo group”. Tribute to the Tenor Pipo di Stefano. Soloists: The Tenors Stamatis Beris, Dino Kalyvas and eleven more Tenors. Theatre of cultural center of Sparta. Sparta – Greece. 20. 16 April 2010 Title: “Passione” by “Tenorissimo group”. Tribute to the Tenor Pipo di Stefano. Soloists: The Tenors Stamatis Beris, Dino Kalyvas and eleven more Tenors. 1st Parliament of Greece Hall, Nafplion-Greece. 21. 14 April 2010 Title: “Passione” by “Tenorissimo group”. Tribute to the Tenor Pipo di Stefano. Soloists: The Tenors Stamatis Beris, Dino Kalyvas and eleven more Tenors. National Conservatory “café concert hall”. Athens – Greece. 22. From October 2009 to present, I have taken part as a Tenor in many performances as a main member or guest star in Opera – world music Stage “Piedra” in Athens. 23. 17 December 2007. Title: “Christmas performance of the Symphonic Orchestra and Choir of Athens Young people. (ASON) . Conductor : Pawl Sergiou. I did my Soloist debut as Tenor in “Magnificat”, oratorio for Christmas by J.S. Bach with the famous soprano Christina Poulitsi. Performance Hall of “Capodistrias” University of Athens. Athens-Greece.